Running is about finding your inner peace, and so is a life well lived… Run with your heart. Remember the feeling you get from a good run is far better than the feeling you get from sitting aroundwishing you were running. 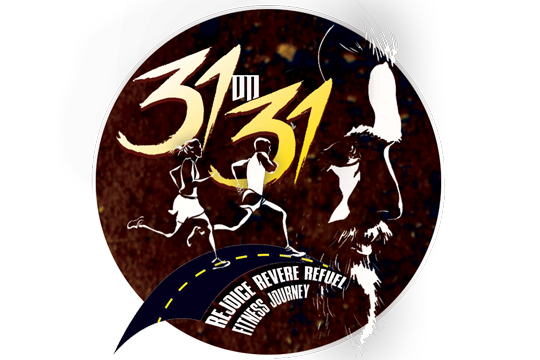 This is a unique run - challenging you to do a 31km on the last Sunday of the year! We wish it was a 31st and you could have done a 31on 31st! But you are close.